Exhaust Bellows Kit to fit Volvo Penta SX and DP-S sterndrives. Includes stainless hose clamp. and circlip. The quality of these bellows far exceeds that of other aftermarket bellows. 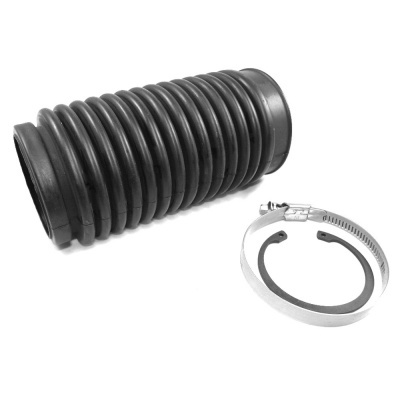 The rubber is both strong and pliable, which aids installation and helps the bellows to maintain their flexibility.